Trump had been in Buenos Aires for the Group of 20 summit. In June, Trump and Kim opened up dialogue on denuclearization of the Korean peninsula after months of trading military threats and pointed barbs. The two leaders signed a vaguely worded document on denuclearization of the peninsula, but progress since has stalled as Washington and Pyongyang spar and North Korea has taken few concrete steps to abandon its nuclear and ballistic missile programs. 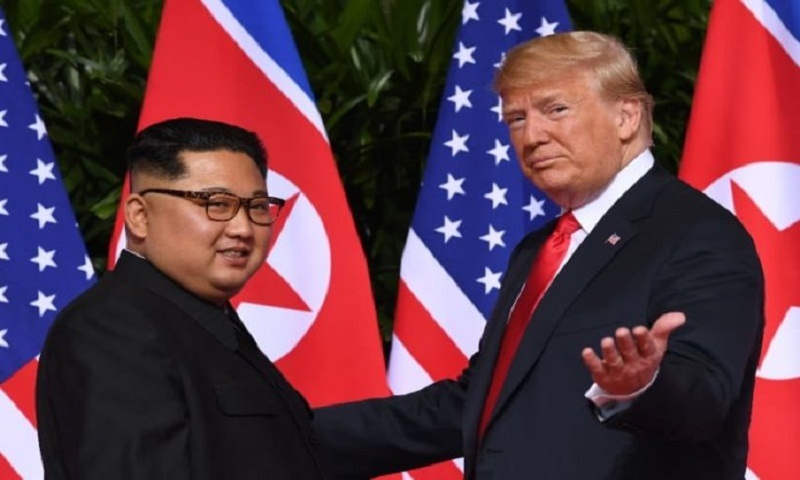 denuclearization” of North Korea, Trump’s spokeswoman Sarah Sanders said.